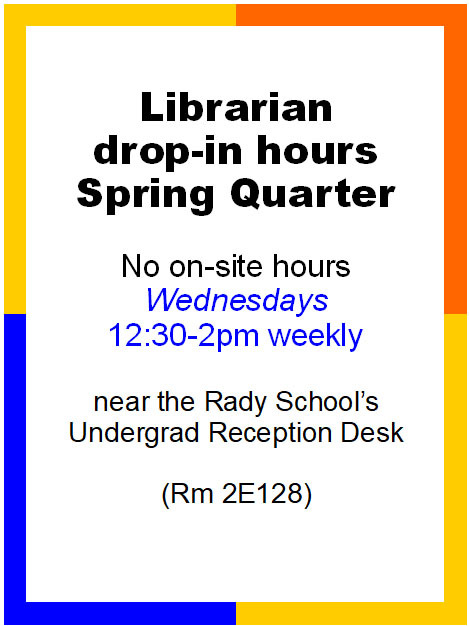 NOTE: No weekly drop in hours at Economics Building this quarter, however, there are drop in hours at Rady School of Management. Meetings also available by appointment at Geisel Library. Its website contents include reports, Cutter IT Journal, the Cutter blog, training and events. Some of Cutter’s content is free, but to see the industry reports that come with the UCSD membership, you must register for an account. Instructions are here - http://blink.ucsd.edu/sponsor/ITS/services/cutter.html. Please use your ucsd.edu email address to register. If you are interested in talking to a Cutter consultant directly, some restrictions apply; please contact Adele Barsh or Jessica Hilt about your research need. Also contact us if you are not finding what you want within the Cutter site. Below are the most frequently-used links to our online economics resources. 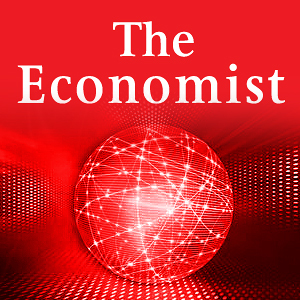 Use this link to get to the UCSD subscription to The Economist online, which covers recent contents. We also have a special link for The Economist Historical Archive (covers 1823-2011). Abstracts journal articles, books, dissertations, and working papers in economics. New records added monthly. Produced by American Economic Association. Includes data from International Financial Statistics, Government Finance Statistics, Balance of Payments Statistics, and Direction of Trade Statistics. Use the "Query Builder" to search for data. Click on DataInsight Web (left nav bar) for the U.S. macroeconomic data set. The other section of Global Insight provides same-day analysis and risk assessment service covering over 200 countries and four industries, providing insightful analysis of market conditions and key events around the world. Formerly World Markets Research Centre (WMRC). Includes country risk and sovereign risk. Industries covered: automotive, energy, healthcare and pharma, telecoms. This searchable online archive of downloadable economics working papers by the National Bureau of Economic Research (NBER). Papers appear here for discussion and revision prior to formal publication in journals and books. Use this page to find out more about the Lab, located on the 2nd floor of Geisel Library, West Wing. Statistical packages available include SAS, SPSS, PSPP, Stata and more. Details are here on how to reserve a group study room, what's available for computers, Digital Media Lab, presentation practice space, floor plans and more.